Dublin is the capital and largest city of Ireland. It was originally founded as a Viking settlement, then the Kingdom of Dublin became Ireland’s principal city following the Norman invasion. The city started to expanded rapidly from the 17th century and was briefly the second largest city in the entire British Empire before the Acts of Union in 1800. 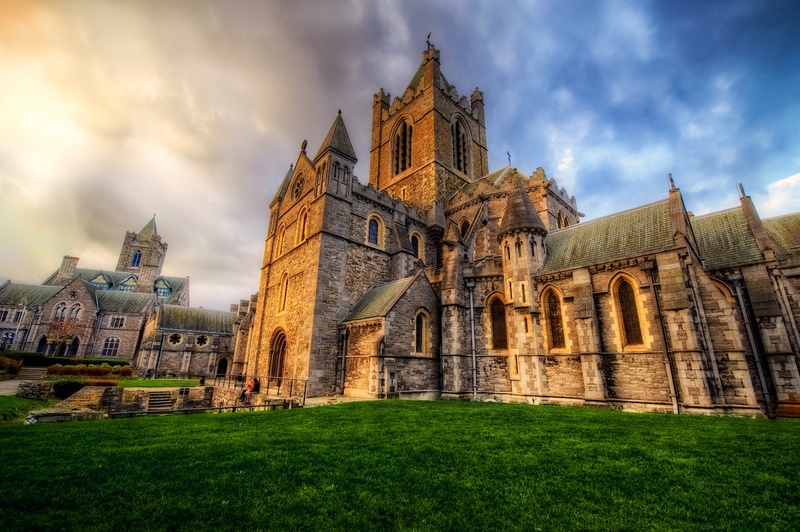 Dublin is considered a global city in all aspect, and has many landmarks and monuments which can be dated back several hundred years, as well as newer, more modern features and attractions, making it an ideal place for tourists. If this caught your interest, take a look at our list of the top 20 things to do in Dublin. Trinity College is the oldest and most notable college of Ireland, and among its students were such famous people as Jonathan Swift and Oscar Wilde. Today visitors from all around the world come to explore and see the verdant campus and towering Gothic-style hallsof the college, but one of the main attractions of it is the Old Library and the so-called Book of Kells in it. This illustrated version of the gospels with intricate Celtic knots and other designs, was created around 800 A.D. by Celtic monks. Overall, coming to this college is one of the best things to do in Dublin even if you are not religious and just want to see the buildings themselves. 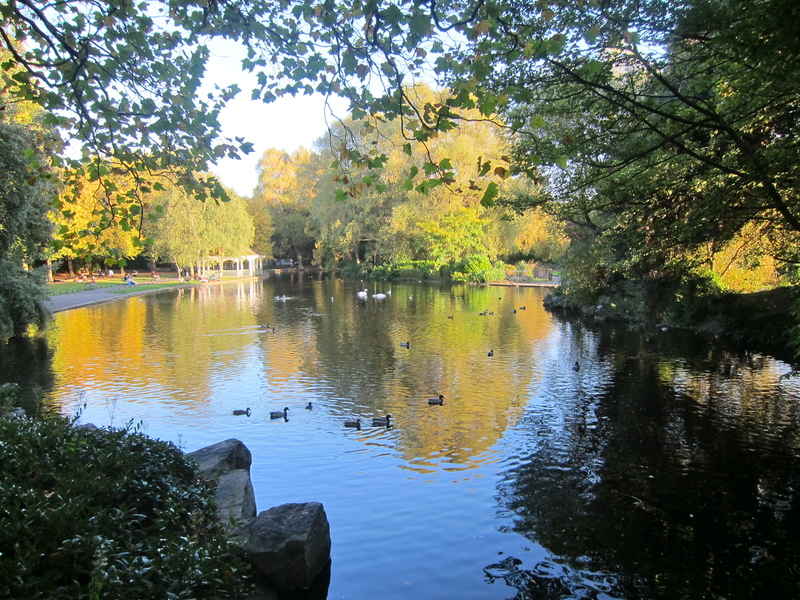 St. Stephen’s Green is a famous and popular urban park in the city. Coming here is one of the best things to do in Dublin if you want to take a break from the bustling city and enjoy the nice weather in this beautiful green park. Playgrounds are available for children, as well as many monuments, fountains, lakes, memorials and so on. You can have a picnic or just take a walk in this wonderful park. Grafton Street is one of the most popular shopping streets of Dublin, with many people coming here thanks to the large variety of shops found here. It was actually the thirteenth most expensive main shopping street in the world in 2016, but that doesn’t mean that every shop here is expensive, and even if you don’t want to do some shopping here, you can enjoy the performance of street performers and musicians who entertain people here, or grab a bite at one of the restaurants or bars at the street. 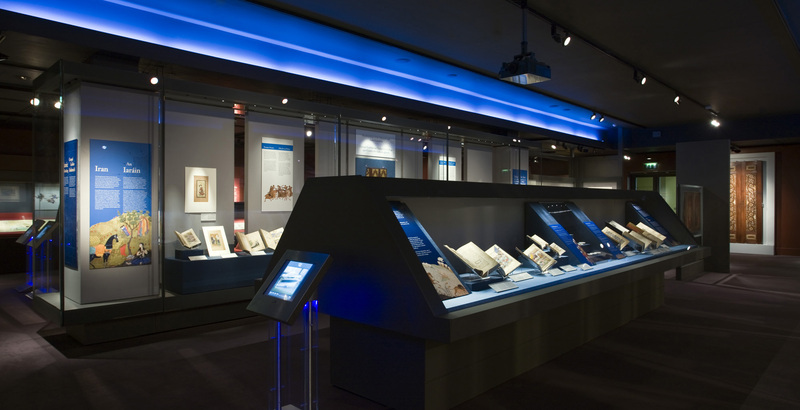 The Chester Beatty Library was first established as the collection of a mining magnate, but soon became an open library with exhibits and a great collection of Western, Islamic (including Arabic, Persian, Turkish, Qur’an and Indian) and Far Eastern scripts, treaties, books and so on. Phoenix Park is one of the largest urban recreational parks in all of Europe, and it has numerous excellent features and attractions apart from the regular park activities it can offer. These include the Wellington Monument, the People’s Gardens, the Magazine Fort, the Dublin Zoo and many other notable buildings and sport clubs. The most unqiue feature of the park however, is that it also gives home to a herd of wild deers which can often be seen by people coming here. The Dublin Zoo located inside the Phoenix Park provides an excellent time for both children and adults, with more than 700 animals from a wide variety of species. Exhibits include the Fringes of the Arctic, the Reptile House, the Asian Forests, the Kaziranga Forest Trail, the World of Primates, the Family Farm, the African Plains and so on. The Kilmainham Gaol was a prison which was used for many Irish revolutionaries, including the leaders of the 1916 Easter Rising, who were imprisoned and executed in this prison by the British. Although the past of the prison isn’t very bright, the prison now acts as a museum to show its history with guided tours available for visitors who wish to know even more than they can already see by themselves. The National Gallery of Ireland houses the national collection of Irish and European art. The collection has about 14,000 artworks, including about 2,500 oil paintings, 5,000 drawings, 5,000 prints, and some sculpture, furniture and other works of art. Among these works are famous ones from European artists like Caravaggio, Van Gogh and the French Impressionists, but the main attractions are the works of the Irish artists, including William Leech, Roderic O’Conor and Jack B. Yeats. The Temple Bar is not actually one bar, but an entire neighborhood which is known for its excellent nightlife. During the day you can see all the different kinds of cultural institutions and exhibits, and during the night you can enjoy a drink at the local bars and pubs and have a lot of fun, as life doesn’t stop here anytime soon. Dublin Castle is undoubtedly the most prominent landmark of the city. In addition to being a stronghold against foreign forces, the castle and its grounds have also been home to a prison, an office of record, a water station, a seat of Parliament, a royal court for entertainment and a military residence. Today it is both a tourist attraction and often used for State dinners and even events. The Old Jameson Distillery is an Irish whiskey tourist attraction. The Jameson Irish Whiskey was distilled here until 1971. Today it’s a visitors centre that provides guided tours, tutored whiskey tastings, JJs bar and a gift shop. A perfect place for those who are interested in the making of whiskey. 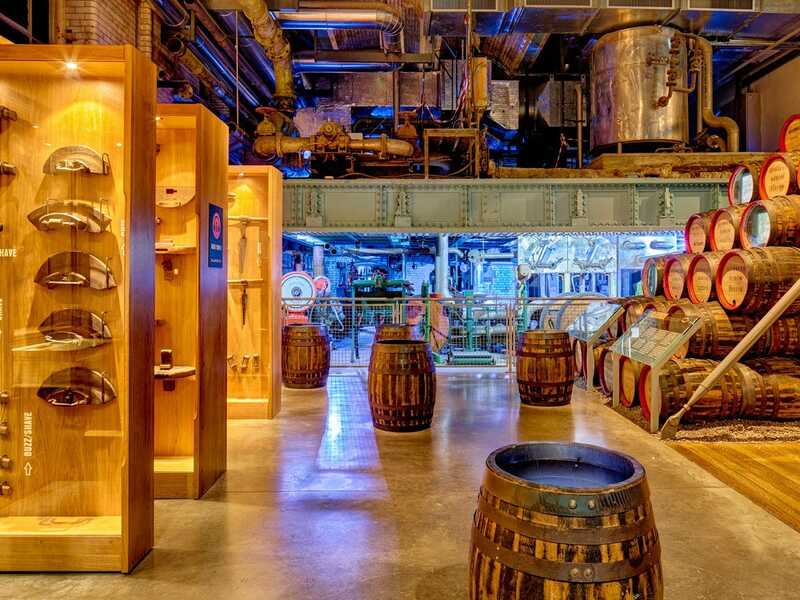 The Guinness Storehouse doesn’t operate as a brewery anymore, but today it showcases the history of the Guinness beer, how it was made, and the general history of the brewery itself. The floors show different parts of the process and the history, including the ingredients (water, barley, hops and yeast), the brewery’s founder, advertising, interactive exhibit on responsible drinking and so on. Visiting this place is one of the best things to do in Dublin if you love Irish beer. The Abbey Theatr, also known as the National Theatre of Ireland was closely associated with the writers of the Irish Literary Revival, many of whom were involved in its founding and most of whom had plays staged there. Notable playwrights who got more attention thanks to the theatre include William Butler Yeats, Lady Gregory, Seán O’Casey and John Millington Synge, among many others. The Christ Church Cathedral is not only popular because of its beauty, but because of the strange and odd things that visitors can find there, or some of which are no longer there. These include the mummified remains of a cat and a rat which were stuck in one of the pipes of the organ when the former was chasing the latter, and the preserved heart of Laurence O’Toole, a former archbishop of the cathedral, but unfortunately, this was stolen some time ago. The National Leprechaun Museum aims to teach people about the leprechauns, the myth surrounding them, their history and everything about them. Almost anybody can recognize these small people with their green clothes and pots of gold at the end of a rainbow, but what about their origin? The museum is highly advised for everyone who wants to have some fun while learning about this mascot of Ireland. 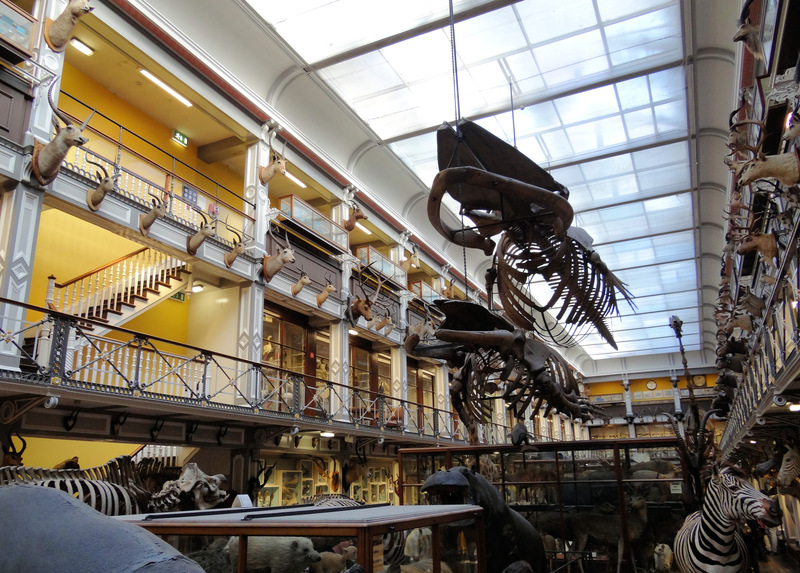 The National Museum of Ireland has three main parts, which are Irish culture, art and natural history. Perhaps the most popular of these is actually the Natural History branch, which houses over 2 million specimens as well as minerals, skeletons and much more. The Victorian theme of the building stayed the same since the beginning, and still looks wonderful. The Proclamation Sculpture, created by Rowan Gillespie, is a permanent outdoor sculpture honoring the leaders of the Easter Rising, and the authors of the Irish proclamation of Independence. It features abstract and faceless bronze statues standing in a circle around a pillar with the words of their proclamation and execution order engraved into them. It’s certainly a powerful memorial. The Garden of Remembrance is a memorial garden in Dublin dedicated to the memory of “all those who gave their lives in the cause of Irish Freedom”. It commemorates several bigger and smaller rebellions, uprisings and so on, each fought for the independence of Ireland. The sculptures and the garden itself is a beautiful and powerful way to remember these, and well worth a visit. This particular Statue of Oscar Wilde is located in Merrion Square. The statue itself lies on top of a rock and quite unique in its design thanks to having colorful clothes and a puzzling facial expression. The two sides of his face symbolizes the dual nature of Wilde, at once joyous and somber, both comedy and tragedy.